In simple terms, Subaru Vehicle Dynamics Control (VDC) is a form of electronic stability control. This advanced active safety system utilizes a network of sensors to monitor wheel speed, steering wheel position, yaw rate and lateral acceleration. If the sensors detect that the vehicle is not moving in the intended direction, the system will take steps to try to correct the situation. Since most Subaru models are equipped with symmetrical full-time AWD, the VDC system relies on this first to maximize traction and restore vehicle stability at the first signs of trouble. If this doesn’t produce the desired results, VDC will then take corrective action by adjusting torque-split front to rear (CVT models only), applying the brakes to individual wheels, altering engine timing and reducing fuel flow to the engine .This combination of Subaru symmetrical full-time AWD and VDC produces superior levels of active safety with even more unique added benefits. Many car manufacturers employ traction and/or stability control systems as an alternative to AWD. Some provide these systems on vehicles equipped with AWD, however if it is part-time or on-demand AWD it will become disengaged when the brakes are applied. 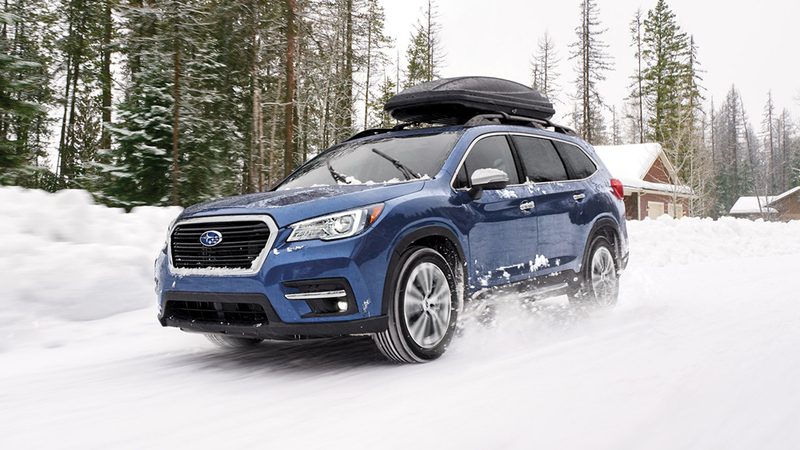 For vehicles equipped with Subaru symmetrical full-time AWD, the drivetrain is fully integrated with VDC to maintain vehicle stability without compromising forward momentum. As power is being distributed to all four wheels all the time , the wheel experiencing a loss of traction will regain that traction more quickly. This can be critical in certain situations, such as when merging into fast-moving traffic from a stop or when driving in wintry conditions. 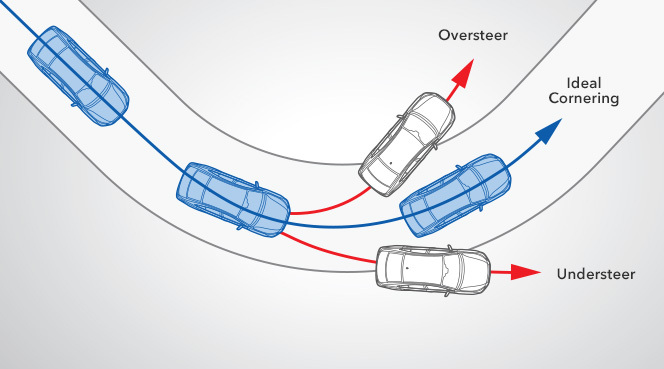 Some stability control systems can intervene in a heavy-handed way, reducing the sense of control the driver has over the vehicle. Subaru models equipped with symmetrical full-time AWD typically require less assistance from VDC in the first place, allowing the driver to stay more in command and enjoy higher levels of engagement. However, on those rare occsaions when conditions warrant, the system will help to ensure a smooth, quick and seamless transition from a low-traction situation to a fully secure situation — without needless, extreme and sudden intervention. 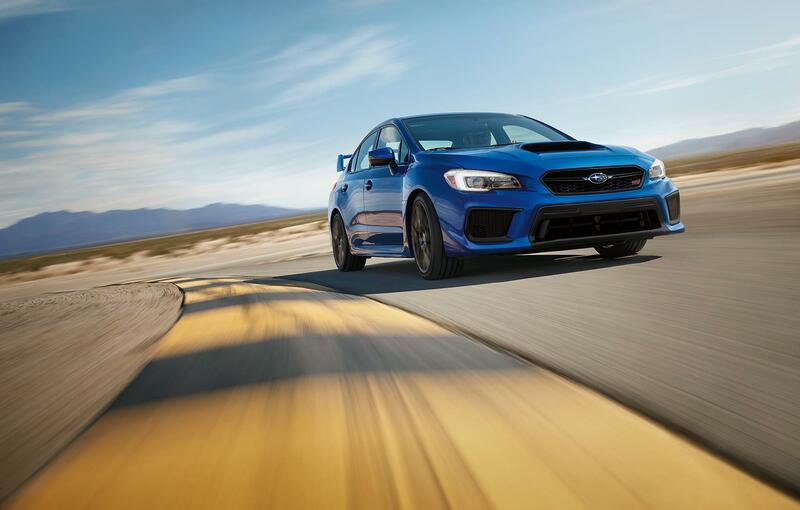 The two highest-performing AWD vehicles in the Subaru fleet, the WRX and WRX STI, take this approach to the next level with a multi-mode VDC system. This system features three different settings (normal mode, traction mode and off) to give the driver even more control over the driving experience without sacrificing safety in the least. If the Subaru VDC system detects slippage in a given wheel, it will apply the brakes to the slipping wheel. 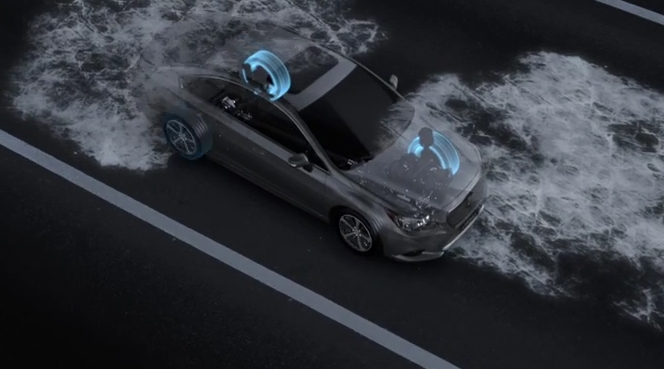 Again, with all four wheels connected to a full-time AWD system, the braking wheel will regain traction more quickly than on FWD or part-time AWD vehicles, thereby coaxing the vehicle back onto its intended path sooner. While the general impression is that AWD is a superior solution in adverse conditions, the truth is that it’s a superior solution in all conditions — even when driving too quickly on a perfectly dry surface.